For bus services see 12go.asia. UK, US & Australian citizens need no visa for stays up to 30 days as long as they have a return ticket. 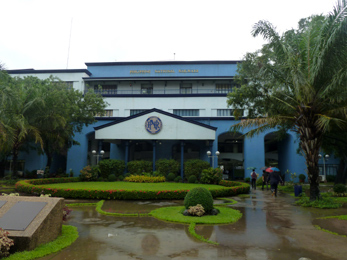 In late 2011, Philippine National Railways resumed daily long-distance passenger trains between Manila and Naga City, previously discontinued some years previously due to typhoon damage. The Bicol Express train is a comfortable and safe way to travel between Manila and Naga, overnight with comfortable air-conditioned sleepers bought second-hand from Japanese Railways. From 16 March 2012, the Mayon Limited (now Isarog Limited) trains were added, and train service extended beyond Naga to Ligao, not far short of Legazpi. It's hoped to extend trains all the way to Legazpi by mid to late 2012. PNR also operate metro trains around Manila. After hurricane damage, these trains were suspended in late 2012 and are still suspended in 2018. It's not clear when or if train service will be reinstated in fact it may never run again in its current narrow-gauge form. Please see www.pnr.gov.ph. For alternative bus services see 12go.asia. You can find current timetables, fares and a route map on the official PNR website, www.pnr.gov.ph (if working). * Important: From 1 October 2012, the Bicol Express is extended to Lagao as shown here, the Mayon Limited is renamed Isarog Limited Express and will now terminate at Naga. The Mayon Limited ordinary may also be affected Please check www.pnr.gov.ph. What is the Bicol Express like? The Bicol Express has Executive sleepers** (single-berth compartments), Family sleepers (open plan berthgs with curtains), Reclining air-con seats, and Economy seats. The Executive sleeping-car is an ex-Japanese Railways car with cosy single-berth sleeper compartments arranged in an ingenious 'duplex' design with alternate compartments 'upper' or 'lower'. The Family sleepers are comfortable and carpeted ex-Japanese Railways sleeping-cars with a side corridor from which open bays of four berths (upper and lower on each side). 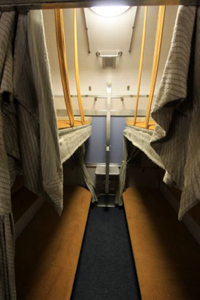 There is no door between the bays of 4 berths and the side corridor, but each berth has curtains for privacy and an individual reading light. The sleepers provide a flat padded velour bunk to sleep on, but no bedding is provided. Reclining seats are smart air-conditioned unidirectional seating. Economy seats are fixed padded seats arranged in bays of 4 either side of a central aisle. Further feedback or photos would be appreciated! ** It's been reported that the Executive sleeping-car is only attached to the Bicol Express if there's sufficient demand, meaning a certain number of tickets have been sold. So don't be surprised if in practice you have to opt for Family sleeper instead! What are the Isarog Limited Deluxe & Mayon Limited Ordinary like? The Isarog Limited Express has three air-conditioned coaches bought second-hand from Japanese Railways, with spacious and comfortable Executive reclining seats with individual armrests in a carpeted saloon. The Mayon Limited Ordinary has three older forced-ventilation cars with far more basic fixed bench seats. Neither train has any sleepers. 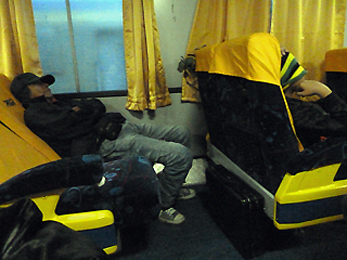 For photos of the interiors, see http://wowlegazpi.com/pnr-adds-trips-to-ligao-guinobatan/. £1 = approx 68 pesos. $1 = 42 pesos. 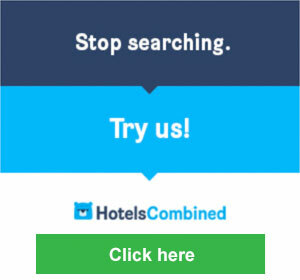 Promo rate = temporary cheap fare. Check fares at www.pnr.gov.ph. You can buy tickets at the station. Traveller Ryan Anawaty reports: "I rode the Bicol Express train from Manila to Naga City 2 days ago. The train cars are in decent shape with male/female bathrooms and running water. They are maybe 15-20 years old (but refurbished) from Japan. There is no dining car or food vendors, so bring all that you need. 4-bed 'family' sleepers are comfortable and air-conditioned, but no bedding is provided. The beds are covered in a brown velvet-like fabric, have large privacy curtains around each berth and individual reading lights. There are no doors between the side corridor and each compartment of 4 berths, and there's a single small jump seat is in the corridor outside each compartment. There are ladders to climb to top bunk and a small table by the window for the bottom bunk. Windows cannot be opened and are covered in metal cage. Windows are hard to see out of, but do have a retractable privacy screen. The train is bumpy and the horn blows without pause for the first 3 hours while leaving Manila's endless suburbs, but it's way better than the bus. Buy tickets at any train station ahead of time. The train was maybe 30% full midweek." If anyone has any more information, photos or travel reports that would be useful for this page, please e-mail me!